Aquaculture currently supplies more than 95% of the eels available on the market. In 2010, over 270,000 mt of farmed eel were produced in China, Japan, Taiwan, and Korea. Only 4% of global eel production originates from other countries. 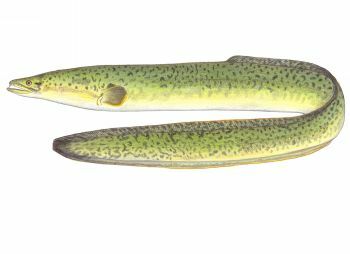 The European eel is listed as critically endangered on the IUCN Red List and was listed in Appendix II of CITES in 2007. The Japanese eel is listed as endangered by the IUCN, endangered by the Japanese Environment Ministry, and of critical concern by the East Asia Resource Consortium. The American eel is threatened under Canada’s COSEWIC and is under review for inclusion on the US’s Endangered Species Act. Data availability on eel production in Asia is poor. Little is known regarding species of eels being farmed, production volumes, and trade routes. All four countries lack monitoring and enforcement of their management regimes. A moderate amount of wild fish in the form of feed is needed for eel aquaculture. Of concern is the reliance on wild broodstock for the aquaculture operations. This puts stress on wild populations to supply the farming operation. Frequent outbreaks of disease and pathogens occur on the farms, causing mortalities. This could affect wild species due to the open nature of the farms. The use of banned chemical substances in China and Taiwan is a serious concern. Significant amounts of chemicals are also used in Japan and South Korea. The ponds are stocked at high densities which promotes the high incidence of disease in the ponds. Large volumes of pond water are frequently discharged to the environment. The water exchange increases the chance of escape of non-native eel species. Eel in the US is caught at 3 different stages of life cycle: juvenile, or “glass” eels (returning to rivers), caught using dip and fyke nets, “yellow” eels (2-3 years old in fresh or brackish water), using baited pots, and “silver” eels (those migrating downriver to spawn in marine water) in weirs. Total eel landings peaked in the 1980s at 3.5 million pounds/yr, but have been stable since the mid-90s at around 1 million pounds/yr. Value depends on the life stage, with glass eels the highest value. Current total annual value is around $12 million. The majority of American eels caught in the US are exported to Europe and Asia. Eel caught in all 3 life stages are Not Recommended, due to low scores for target species and other species. Stock status of American eel is considered to be highly likely to be depleted and is high concern, and while overfishing has occurred in the past, there is uncertainty over whether it is continuing. Impacts on other species are high; catch of vulnerable ale wife, rainbow smelt and Atlantic salmon is a concern in the dip net fishery, while diamondback terrapins are at risk in the pot fishery. Only fyke nets present minimal risk to bycatch. Management is rated moderately effective and includes measures to monitor landings, limit quota overages and mitigate bycatch. No concerns about habitat impacts exist, but policies to protect ecosystem functioning are needed.